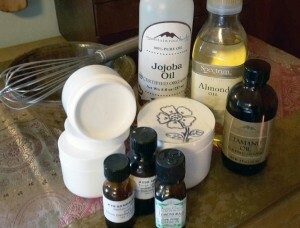 Learn how to turn oils your skin will love into silky ceam and lotion using just three all natural ingredients. Take home a container of un-scented cream and you can blend in your favorite essential oil or fragrance. Ingredient list and printed instructions will be given to workshop attendees.